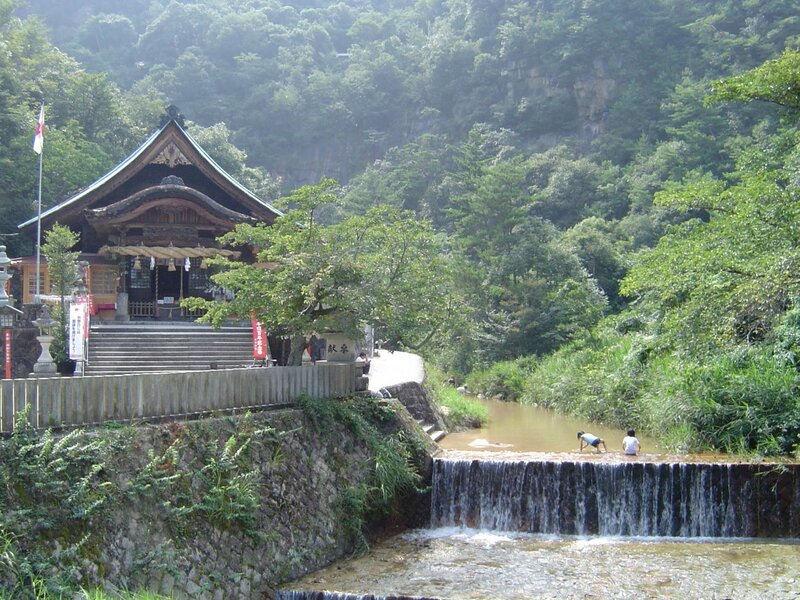 The Ogashira Shrine and the waterfalls are nestled into a small mountain valley with sharp cliffs rising from the riverside. The enclosing hills are incredibly lush and green during the summer months. The Kebo river flowing by the shrine continues up into an area behind the shrine which is well shaded and welcome relief from concrete and asphalt on hot summer days. Unsurprisingly, the river is popular with families with kids seeking relief from the heat. There are two waterfalls that join into the river that flows past the shrine. 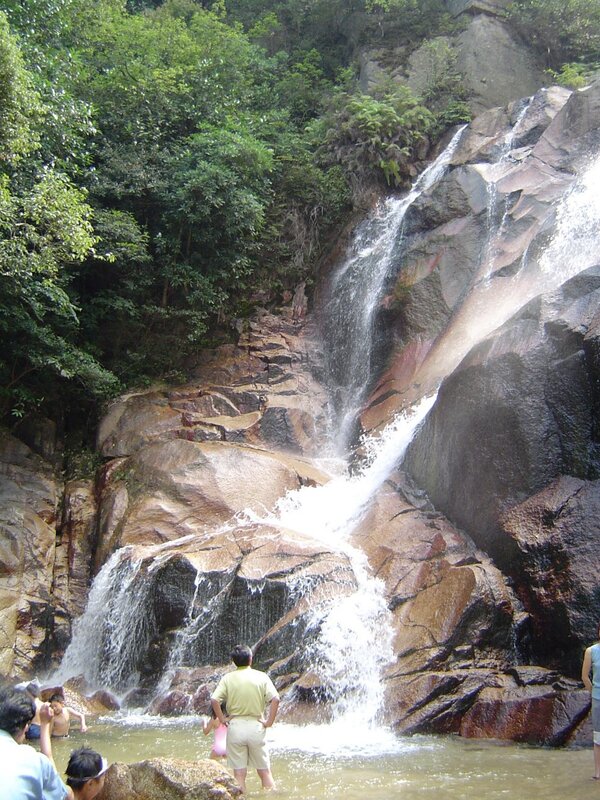 The first is a slender beam which tumbles 50 meters and the second is a roaring torrent which drops 30 meters. The later has a large sandy area under it and several pools which seem prefect for small kids to wade around in. 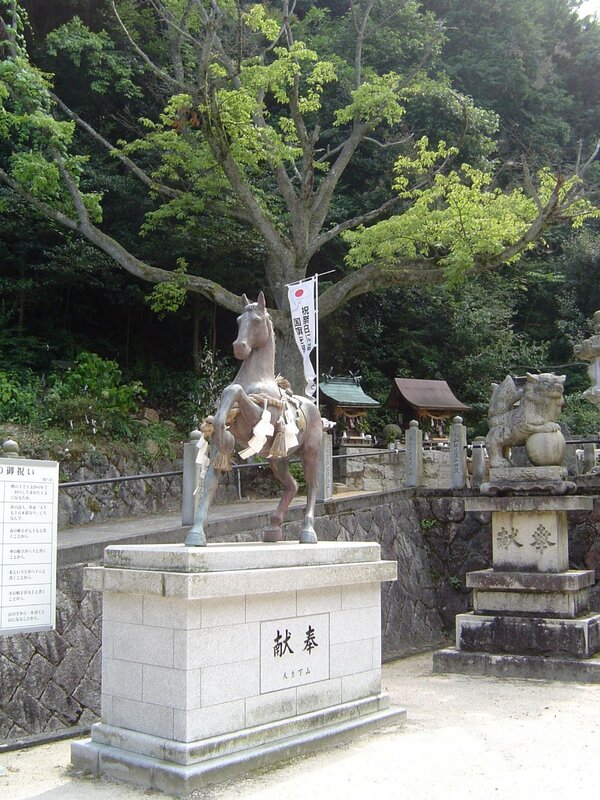 There is a hiking trail through the forest which rises up above the waterfall to the road you can see from the shrine. If you're feeling particular energetic you can continue on to climb the mountain and see the ruins of the local castle. The path is marked on the map of the area at the shrine. 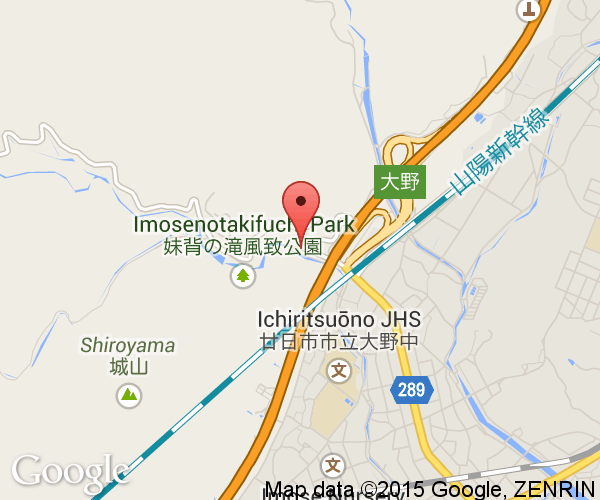 Ono is west of Hiroshima City and easily reached by train on the Sanyohonsen train line. If you're going to the shrine and waterfall get off the train at Onoura. 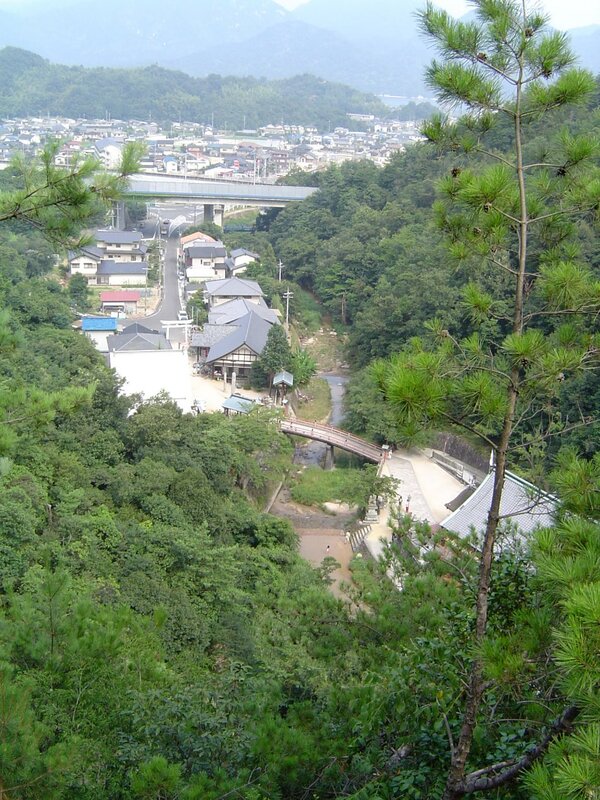 The waterfall is about a 20-25 minute walk from Ono-Ura Station. Starting from the station, turn right and walk to the east through town and over the Kebo river. Turn left once you reach the first major road (traffic lights, gas station, etc.) you come to. Walk up this road and you should pass under a red gate and the Ono expressway on-ramp. The river you'll see on your left is the one from the waterfall and just walk straight from there.